Most golf courses can be classified as 'fun to play,' 'great to play,' or 'must play.' There are very few courses where all three of those descriptions apply in equal measure. One golf course which fits that description is Gunter's Landing (gunterslanding.com), located in the northern Alabama community of Guntersville, about 45 minutes southeast of Huntsville. Gunter's Landing (1000 Gunter's Landing Road, Guntersville, Alabama; 256-582-3000) can also accurately be labeled as distinctly special, undeniably spectacular, or simply unforgettable. It's also a joy to play. If you are looking for a golf experience packed with eye-opening diversity, play Gunter's Landing. 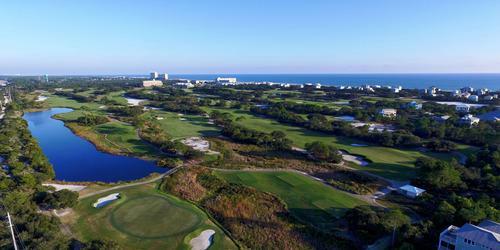 If you want par-three experiences where you have the chance to create an indelible memory, play Gunter's Landing. And, if you want to play a golf course which can accurately be described as serene, scenic, and sensational, play Gunter's Landing. "With the backdrop of the Appalachian Mountains and Lake Guntersville, Gunter's Landing is a little different than most courses," says Stephen Worthy, head golf professional, Gunter's Landing. 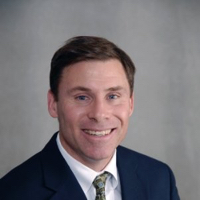 "I just want to make sure people have a fun experience - whether they are members or non-members. It really is a wonderful golf course." Without sounding like a cliché, Gunter's Landing is truly the complete package as it has everything you would want in a golf course - dogleg par 4s, short par 4s, driveable par 4s, tough par 4s, birdieable (Is that a word?) par 5s, and four distinctly different par 3s, which, as a unit, may be the finest collection of par 3s east of the Mississippi River. All four par 3s are downhill - and three of them require a forced, but manageable, carry. At Gunter's Landing, the first five holes -- two par 3s, two par 4s, and a par 5 -- represent the diversity and appeal of this par-72 layout, which opened in 1981. Kudos to golf course architect Jimmy Kemmaer, who may have created his finest piece of work at Gunter's Landing. With six different pin positions on every green and four different tees to choose from, Gunter's Landing can present a totally different look on every visit. Also, very few golf courses have greens that are as well maintained and perform as consistently as the putting surfaces at Gunter's Landing. As Worthy says, the key to putting well at Gunter's Landing is to keep the ball below the hole. "You are better off with an uphill 25-foot putt than a downhill 10-foot putt at Gunter's Landing," says Worthy. 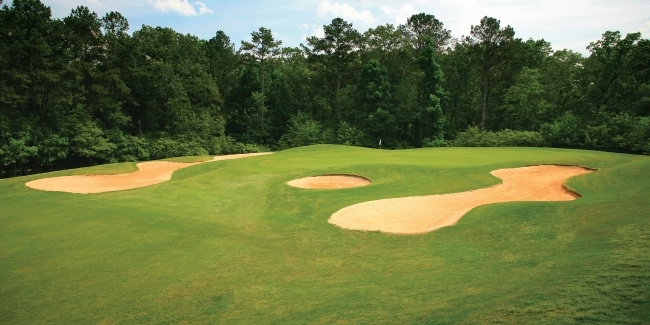 The greens at Gunter's Landing are as close to perfect as you could possibly imagine - fair, fast, true, and consistent. Also, kudos to superintendent Bary Muse for maintaining this golfing masterpiece. What's enticing about Gunter's Landing is what you will see as you arrive on site. It's golf's equivalent of an appetizer, a visual tease of what's yet to come. As you approach the clubhouse, you'll see the par-four 2nd hole on your left and the par-three 3rd on your right. The 2nd should be named 'Go For It,' as all four tee boxes are perched well above the fairway. For big hitters, it's a driveable par four which has an ever-so-slight left-to-right twist to its flow. The 2nd is a birdie opportunity for every player, while big hitters will putt for an eagle if they can drive the green with their tee shots. The 3rd hole is a medium-length par three which is bordered by water on the front and along the left. It can best be described as 'Lurking Lake.' At the 3rd, any tee shot that lacks a committed swing will find a watery grave. At Gunter's Landing, the back nine begins with another par 3 where the tee shot is struck from one of the terraced tees. Your tee shot will travel over a deep ravine. Take an extra club, if unsure, as anything short of the putting surface will require another tee shot. 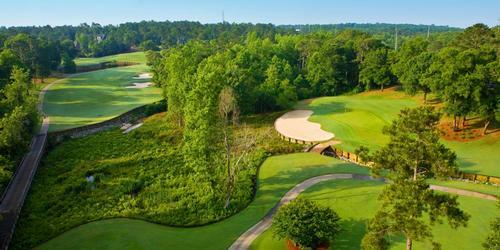 The home hole at Gunter's Landing is a par 5 with a downhill tee shot and two uphill shots to a table-top green. While it will take three shots to reach the green, you can be left with a realistic birdie chance. As you reflect on your round at Gunter's Landing, the strongest mental images will be the four par 3s, the many uphill and downhill holes with meandering fairways, and the views of Lake Guntersville which are the backdrop on seven different holes. 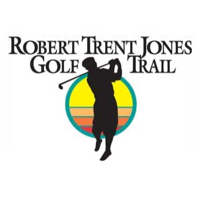 After completing play at Gunter's Landing, you will agree that this course deserves to be classified as 'fun to play,' 'great to play,' 'must play,' and a joy to play.